I have been contemplating doing a Papertrey Ink Blog Hop for months and months (sounds better than years and years), but I have been chicken until now. Suddenly I am fearless. I have a brand-spanking new blog, attempting challenges (one challenge rather) and a blog hop. Watch out world! Once I decided on one design team member I had to chose a card/project (I imagine I could have chosen more than one designer and/or project, but I am still getting my sea legs). 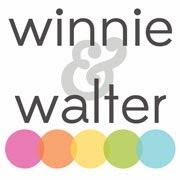 Nichole Heady of Papertrey Ink mentioned we could use this post to voice our appreciation and I really should because all of the ladies of Papertrey Ink's Design Team (of course also Nichole Heady and the whole Papertrey Ink family) are magnificent. Their blogs and projects have brought not only inspiration, but happiness into some days that needed a little creative happiness and beauty. Even good days were better for their efforts. So, thank you Betsy Veldman, Dawn McVey, Debbie Olson, Erin Lincoln, Heather Nichols, Kim Hughes, Lisa Johnson, Maile Belles, Melissa Phillips, Michelle Wooderson and Niki Estes (I was going to write their first names only, but I felt I was being too familiar like referring to Martha Stewart as only Martha) for making life sweeter and prettier for sharing your talents with us all! Ultimately, I picked a truly darling card by Betsy Veldman (when does she ever disappoint?). 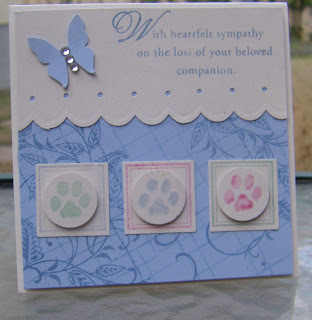 I happened to need a sympathy card for clients who lost their beloved dog this week and thought why not do a card using my With Sympathy and With Sympathy: Loss of Pet sets using Betsy Veldman's card as my inspiration. Such a sweet and loving sentiment! I love the butterfly and stamped paws. Great job with the challenge! Great card. I love the little paw prints - I have this set but haven't made enough use of that stamp yet! This is so sweet. I think your card is just as darling, if not more so! Nice colors too. What a sweet card! I love how you made the elements on her card your own. This is so sweet and I love the pawprints! This is soooooo cute!!! Love it! Lovely card; the colors are so soft--perfect for your message. Simply fabulous take on the challenge! I think your card is beautiful!!! What a sweet card! Great use of the layout and colors! I'd never thought to use the Guidelines lines independently from the medallions to create a background. Very clever! Love how you did this -- gorgeous! Lovely card. The recipient will feel very cared-for. Lovely card! Love the soft and soothing color combo. Nice job. I especially like the soft colors you used too. Shay, your not Betsy but you have the same eye for colour and layout! I love how you made it your own with those little paws. Great blog writing with the whole Martha Stewart thing. It made me laugh! i think that our card is lovely as well! 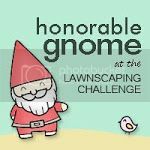 Great job with the blog hop challenge. Such a sweet card! Great card to CASE and great card you created. I like the color choices too. Such a sweet card and so well done! I keep thinking I need to go to bed and then someone else, like you, sends me a sweet comment that deserves one more hop over to say "HI"! I appreciate the encouragement more than you know! Now how about some for you! Your card is beautiful...and somehow looks really heartfelt...people that love their pets REALLY LOVE their pets and would so appreciate a paper wish like this! Nice job! Ah but it's totally a darling card!! I love your take on it and the colors you chose. Very nice! Your take on Betsy's card is great! It was perfect for the occasion you needed it for. Love your layout. Lovely. And your background is so interesting. Very creative. All I keep thinking of is "pawprints on your heart". It would be well received by any grieving pet owner. Oh, I think your card is beautiful and I'm sure your clients will love being remembered. Great job on your first blog hop! The paw prints are darling! Love it! Such a beautiful and thoughtful card and a wonderful tribute to Betsy. 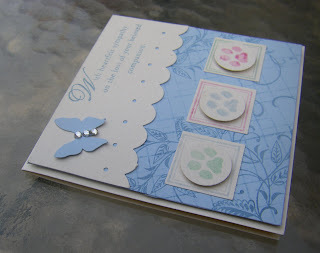 This is just the sweetest card - love the colors and especially the little paw prints in pastels - really love it! Thank you for the comment :) it was my first hop so its a lot to learn ha ha! I am following your blog now, I love your cards! Feel free to add me too if you are interested!!! Very pretty. I love the decorative scallop border and the cool grid background you created. Such a sweet card!! Great take on Betsy's card! You can just call me "Betsy" any day! I love your take on this card and that you took something very springy/eastery and turned it into something completely different! Your take is wonderful..thank you for your kind words! What a lovely card! Hope you had fun on your first blog hop! Love the paws!